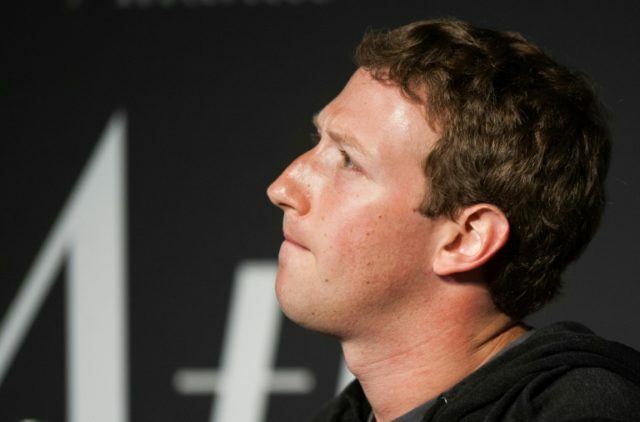 The left-wing tech magazine Wired has published a column making the case for Mark Zuckerberg to resign as Facebook CEO and be replaced by the executive director of the Wikimedia Foundation, which funds the hilariously biased Wikipedia. “More important, those changes would clearly benefit the planet as a whole” argued Salmon. First, he should sketch out a new path for Facebook, one that puts users first, rather than advertisers and developers. Second, he should identify the right CEO to implement those changes and lead the revamped organization. Third, he should resign to make way for that person—and do so gladly. Salmon says that the new Facebook should prioritize the war against “fake news” (something Zuckerberg already claims to be doing — by boosting establishment news sources at the expense of new media). It must give its users what they want (news, updates, friendship, community) while respecting their privacy and not giving them what they don’t want (fake news, clickbait, creepy ad retargeting). Sell ads, by all means, but make it mass-audience brand advertising, rather than narrowly targeted direct marketing. Most important, the company’s leadership has to effectively communicate that change of heart and change of priorities, so that Facebook users start trusting the company, rather than mistrusting it. But at the same time, Salmon also suggests that Zuckerberg should be replaced by the executive director of the Wikimedia Foundation, which acts as a funding body for Wikipedia — a bastion of fake news, run by unaccountable, partisan editors who regularly abuse the site’s rules to purge their critics. Salmon says that Zuckerberg’s replacement “must be a woman,” because Facebook “still has a reputation as a home for tech bros.” But instead of the obvious choice, Sheryl Sandberg (“just as culpable as Zuckerberg”), Salmon recommends a Wikimedia goon instead. Here’s one idea. Imagine if, tomorrow, Facebook’s board announced that Zuckerberg was resigning, to be replaced by Katherine Maher, the executive director of the Wikimedia Foundation. It’s impossible to think of a proven leader more mission-driven than Maher; hiring her would send an unmistakable message that, at the new Facebook, mission would always come first. It would also send a very welcome message to the world outside the US: While based in California, Maher has made it her priority to strengthen Wikipedia in other countries and in languages other than English. Zuckerberg has many critics on the left and the right, and is known for his hyper-progressive views, including his infamous suggestion that the U.S. should follow the lead of Germany, a country torn apart by the refugee crisis, on immigration. Wired’s columnist, however, wants to use the current crisis to install a CEO linked to Wikipedia propaganda-pedia, a platform even more fundamentally flawed than Facebook.